Palencia's Amenity Center is located in the heart of the community in the Village Center and offers a variety of programs and activities. 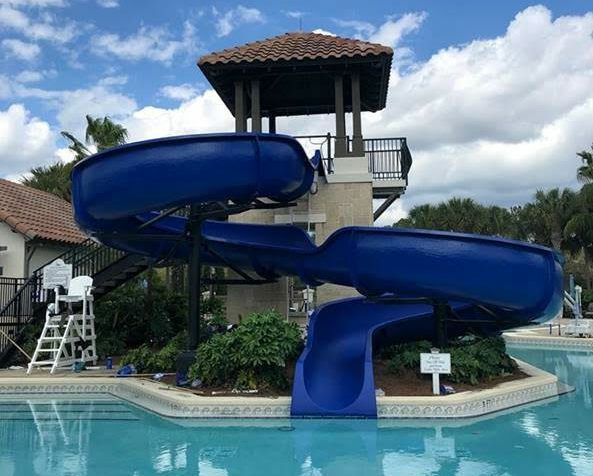 We have an adult lap pool, a children's wading pool and a family pool complete with water slide. The pool area is open every day of the week. Lifeguards are on duty at the family pool Tuesday through Sunday during posted hours. The Pool Pavilion area is available for rent for special events. Contact Swim & Fitness for more information. The Pool Pavilion Rental Application is available on-line at the Rules & Regulations sub-menu above. Each month we have at least one to two community events. They include Food Truck Fridays, Dive in Movies, a Fall Festival, Easter Egg Hunt, Tree Lighting event and more. 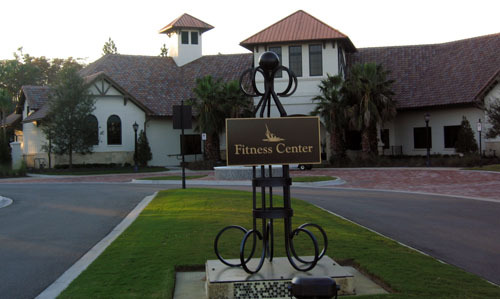 The fully equipped Fitness Center will help you stay in shape and de-stress. Personal Trainers are available by appointment. Some of the fitness programs we have include Aqua Aerobics, Pilates, Yoga, Extreme Burn, Senior Yoga, Zumba and Kids Fitness. Child Watch is available for residents using the District Amenities. Children ages 6 months to 9 years are welcome to stay at our center for up to 1.5 hours while they are being watched by our staff. We also have children’s programs such as Summer Camp, Ballet, Tumbling, ISR lessons, and Swim Team. We hope you enjoy Palencia’s Swim and Fitness Center and will take a moment to explore all we have to offer. Thank you for making Palencia the best place to call home.